Yet, have you considered adding any type of oral health benefit to your New Year’s goals? 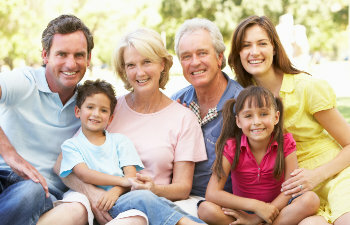 Perhaps we at Gold Hill Dentistry can suggest one that can truly benefit and protect your smile. Dental sealants are a simple and painless family dentistry treatment that “seal out” harmful substances from threatening the integrity and health of your teeth. Often associated with adolescent dentistry, dental sealants offer the same benefits to patients of all ages. In fact, dental sealants are one of the most under-utilized measures of achieving a healthy smile. Dental sealants are plastic coatings that are painted on the back teeth: the pre-molars and molars. Dental sealants are incredibly beneficial to these teeth because of their rough surfaces. These back teeth are responsible for chewing and breaking down foods so that they are easily swallowed and digested. Yet, their rough surfaces are quite difficult to keep clean. The pre-molars and molars have deep grooves and pits in them, which are ideal places for food particles, sugars, and bacteria to become trapped. When any substances are trapped within the mouth, acids will begin to work to break down these substances. Acids eat their way through anything—including your tooth enamel. Dental sealants “seal out” trouble before it has the opportunity to reach the deep grooves and pits in the teeth. They are painted on clean teeth and hardened with a special curing light to bond the with the tooth enamel. Once placed, they provide a barrier that will last 2-4 years and protect the back teeth from decay. This simple and painless procedure truly offers benefits that cannot be found in any other treatment. Contact Gold Hill Dentistry today to learn more. We are here to help you achieve a beautiful smile that will last.